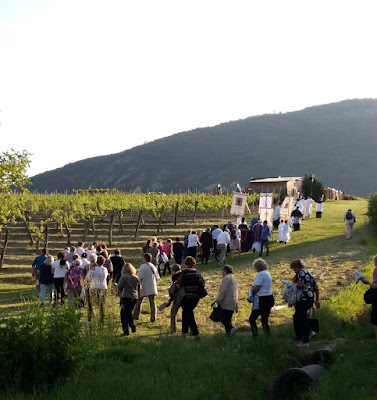 This past Monday, the “Community of St Philip Neri” (http://www.szentfulop.hu/) celebrated the first Rogation Day with a traditional procession and solemn Mass at Balatonederics, a small village located on the north shore of Lake Balaton in Hungary. The community was founded in 2016 by priests and faithful of the diocese of Veszprém to organize and promote celebrations of the traditional rite. Below we include a video of their Mass celebrated on the feast of the Annunciation this year, with some very nice music.